we will adopt an Orca on your behalf. In recognition of customers using Orcha, we will adopt an orca on your behalf. This adoption is symbolic of the similarities between service orchestration and service domain containment and orca pods. It also symbolises the drive for carbon footprint reduction through multi-tenant cloud computing. 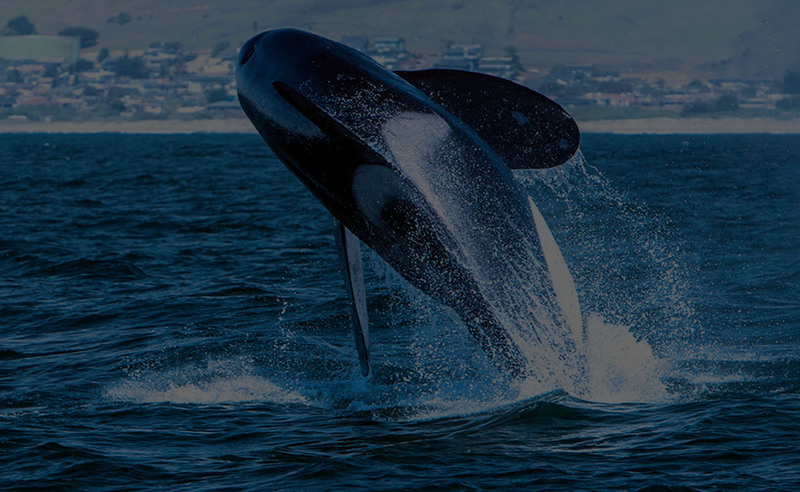 For every 8 Virtual CPU Orcha license or term subscription purchased or used, our pledge is to adopt one orca on behalf of your organisation. This adoption recognises the strategic nature of SOA, ESB and iPaaS adoption by our customers as it becomes the bloodline of their business and digital services. Our adoption of orcas on your behalf recognises our commitment to make each Orcha customer a lasting, happy one. One of the Orcha platform strengths is to organise services in domain containers. This is not too dissimilar from the way in which orcas organise themselves into pods. You can build sustainable, scalable and differentiating applications to set yourself apart from your competitors. Orcas are apex predators, meaning that they have no natural predators. Orcha services are recognised by their service interfaces. Individual orcas can often be recognised as a result of the distinctiveness of their dorsal fins and/or saddle patches. Orcha delivers agility to organisations through reuse of services and consolidation of technologies through service capability abstraction, as well as delivery of new services with more configuration (modelling) and less coding. This can be compared with the agility of the orca species.